Couscous precooked durum ready in 5min. 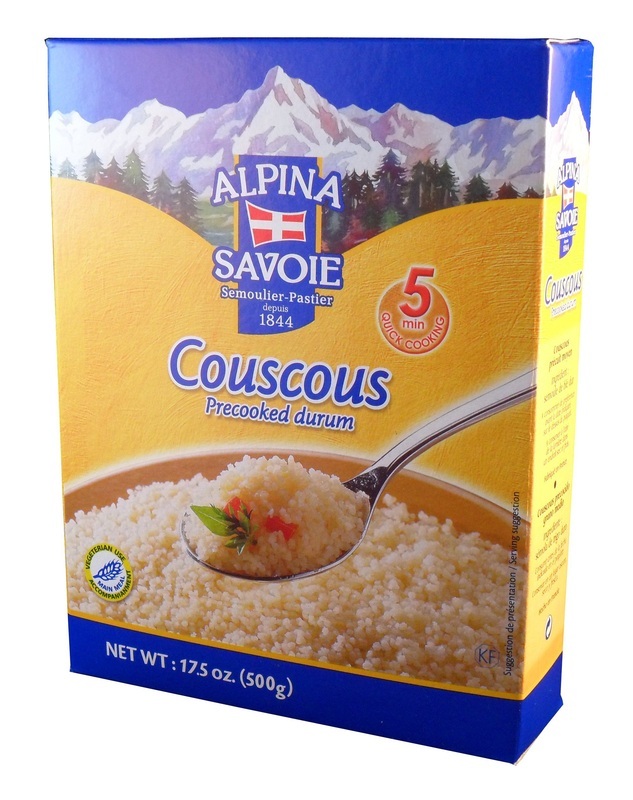 Alpina Savoie Couscous is made with the finest French durum wheat. 1 volume of couscous + 1 volume of boiling water = 1 person. Inherited from Northern African culture, this product is ideal to cook typical Moroccan or Tunisian couscous. It can be served as a side dish with any meat or fish or be the main ingredient of any salad. Your imagination is the limit!